Submitted Photo Here is the Altar and Rosary Installation of Officers St. Dominic R.C. Church for 2018-2019. 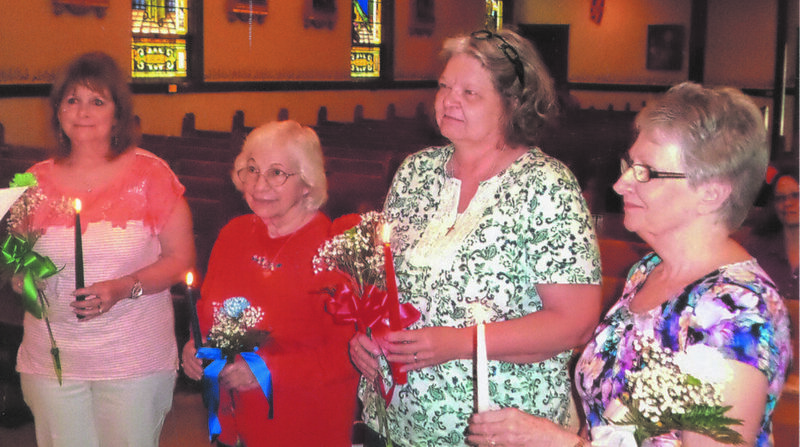 From left to right: Sharon Foster, treasurer; Mary Ann Ellington, secretary; Mary A. Przybyciel, vice president; Jean Tate, president. St. Dominic’s Altar & Rosary meeting was held on Thursday, May 3 in the church hall. 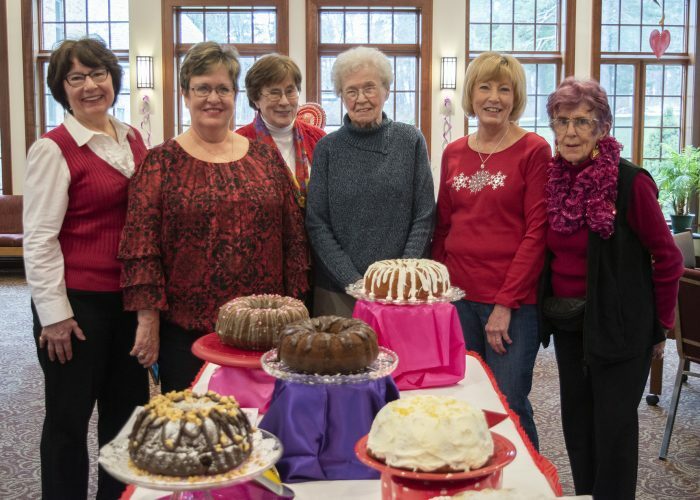 In communications: Secretary Mary Ann Ellington received several donations in memory of deceased Altar & Rosary members Rosemary Bova and Frances Mutch. She also received dues from two more members. If any ladies of the Ripley, Brocton or Westfield parishes would like to join Altar & Rosary, contact Mary Ann at 326-3768. She also received a thank you note from the Brocton/Portland Food Pantry for the parish donation. Food for the Westfield, Brocton/Portland Food Pantry may be dropped off at St. Dominic’s Church in Westfield and Brocton. Elena Marsala reported on the trip to Our Lady of Victory Basilica and The Botanical Gardens in Lackawanna on May 9. President Jean Tate reminded the ladies to sign up for the annual Altar & Rosary salad luncheon on May 23. A table will be set up for the quilt raffle which will be held in September. If anyone wishes to purchase tickets for the raffle, contact Jean at 792-2527. The guest speaker, Richard Sucham from Bishop Malone’s office, gave information on “Upon This Rock.” Monies raised for this will benefit our parishes, mainly focusing on the youth. Two members asked to be added to the Altar & Rosary Honor Guard list. The honor guard attend a funeral Mass for a deceased Altar & Rotary member. Altar & Rosary members also upon request, recite the Holy Rosary at the funeral home the day before the funeral. Following the committee reports, refreshments were served by Peg Bourgeois. The trip to Our Lady of Victory Basilica and the Botanical Gardens in Lackawanna on May 9 was enjoyed by all with perfect weather. The salad luncheon on May 23 was a great success. The luncheon offered 15 different choices of salads and a large variety of desserts. Installation of officers was held at the May 16 Mass. The officers are: President, Jean Tate; Vice president, Mary A. Przybyciel, Secretary, Mary Ann Ellington and Treasurer, Sharon Foster. A short meeting was held before the end of the year luncheon on June 7 at the Barcelona Cafe.